Trust a dedicated advocate with a high success rate defending clients charged with DUI. Olathe Attorney Jerry Wallentine has won many DUI trials, prevailed on numerous different motions, prevented significant jail time, and saved countless driver licenses. He recently won another DUI hearing in Johnson County, Kansas City and saved his client's driver's license. Two weeks before that, he had saved yet another client's driver license. While his past success is no guarantee for your case, he will do everything he can to fully defend his clients' every legal right. On top of his years of DUI experience, he regularly studies and researches the constantly changing court decisions and legal changes to help his clients. For example, the Kansas Supreme Court recently made numerous ruling which can greatly effect DUI cases involving: breath tests, PBT, and blood tests. Have this experienced and zealous Kansas criminal defense DUI attorney represent you. You will be treated with respect and your case will be given priority. We’re here to help—We even give out a cell phone number to reach us whenever you need counsel. 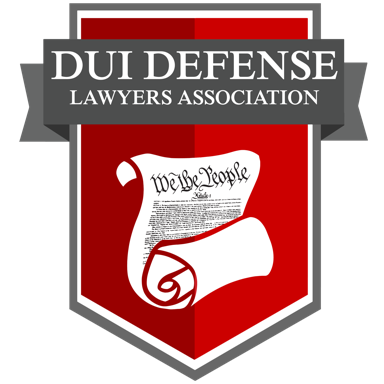 Read the latest in DUI defense news and find the helpful legal information you need. Discuss your possible legal strategies with one of our seasoned Kansas DUI attorneys. Practicing criminal defense law requires skill to successfully address the legal issues and courage to zealously represent clients in an often hostile situation. You need a DUI attorney who strives to be the best lawyer he can and is willing to fight for you. I am committed to being the best attorney I can for my clients. "When I take on a DUI case, I approach it as a personal challenge. After years of defending hundreds of people, I noticed some similarities and legal issues that more commonly arose. However, each DUI case is unique. I enjoy analyzing the specific issues for each individual case, and formulating a strategy given the specific situation....searching for chinks in the prosecutor's armor. While I never guarantee a certain outcome, I do guarantee aggressive, thorough advocacy. I will personally do everything I can to effectively defend you." Each DUI case requires immediate defense action, which should be initiated at the moment of your arrest. Exercise your right to remain silent and your right to a lawyer, but get a good attorney that is skilled in defending DUI charges. Our legal team is committed to pursuing the best possible case result for all of our clients, and your case will be given the priority attention it deserves. We are proud of our aggressive approach and our proven record in defending drunk driving charges. Over our years in legal practice, we have developed strong relationships throughout the criminal justice system with prosecutors and judges, and we will use every advantage we can gain on behalf of our accused clients. Our firm has helped countless clients who were charged with DUI in Johnson County, Kansas. At our drunk driving defense firm, you will have a team behind you. However, the substance of your case will be handled personally by DUI lawyer Jerry Wallentine. He has litigated hundreds of cases over the years and thoroughly know the ins and outs of Kansas DUI laws and court procedures. If you are arrested on a Drunk Driving charge in Kansas, you could be looking at jail time, hundreds of dollars in fines, and suspension of your driver's license — even for a first offense. DUI laws in Kansas are stricter than many other states. Moreover, the police and prosecutors take these cases very seriously and will prosecute to the full extent of the law. If you have been arrested on a DUI in Kansas, contact us immediately to speak with a Kansas DUI lawyer about defending you against these criminal charges. If you have been served with a DC-27, you must act quickly and request the administrative hearing for your driver's license. Whether you took a chemical test or refused, we can help you. Keep in mind that the Intoxilyzer 9000 is capable of mistakes due to calibration or other issues. We may also be able to prevent you from having to file an SR-22 with Kansas. Whatever legal issue you face, it is vital that you find the best lawyer for defending against a DUI in Kansas. Don’t hesitate to call our drunk driving lawyer right away. We practice extensively in Kansas, defending clients charged with DUI. We have represented hundreds of clients throughout Johnson County, including: Olathe, Gardner, Lenexa, Overland Park, Shawnee, Leawood, and Kansas City.